Read about significant research findings and impact from WestEd experts related to teaching, learning, and human development. In part one of this interview, Natalie Walrond, Director of Cross-Sector Initiatives at WestEd, discussed some of the ways that child-serving professionals notice and attend to the effects of trauma on children. In part two, Walrond shares more about what she learned about trauma-informed practices from interviews with dozens of researchers and practitioners, including some unexpected insights and key takeaways. Findings from these interviews were shared in the recent brief, Trauma-Informed Practices from Prenatal to Young Adulthood: Voices from the Field. Question: The interviewees are all immersed in this work in different ways. Can you share a couple of the key conditions or supports that they said need to be in place in order to successfully implement trauma-informed practices? Natalie: There were about seven key conditions of success that we noticed. I’ll talk about a few that felt particularly profound. One was the idea of supporting the wellness of educators. We see high cases of burnout in professionals who are working with children who have experienced trauma. Our interviewees called for systems and supports to ensure that the child-serving professionals were taking care of their own needs, so that they could take care of others. That idea felt especially powerful, and, frankly, rare. There were only a few places that included supports for educator wellness, in addition to training about childhood trauma and trauma-informed care. Another condition of success is family and community engagement. There’s a common expression: “The work must be done with you and not to you.” When you’re serving vulnerable communities, it’s important to make sure that it’s done in a way that honors and respects the assets of the community and includes families and communities in decision making and in leadership of the work — which is not something that’s common, but it’s very important. Finally, we heard a lot about the importance of having the commitment of education leadership. Because this is very difficult work and because trauma-informed practices can feel new and in some cases at odds with what veteran teachers have been taught to do with children, it can be easy to get frustrated or give up. So it’s important to have leadership that prioritizes this work not only through their words, but also through their actions and behaviors. Leadership should also think about what trauma-informed systems and policies look like, as well as making sure that workforce development and professional learning are trauma-informed. When educators are able to see that trauma-informed practice is a genuine value within the leadership of their school or district, we believe it makes the work more sustainable, ingrained, and consistent. What did interviewees say were some of the barriers to implementing trauma-informed practices? The number one thing that stood out: trauma-informed practices are best done in a cross-sector way. Child-serving sectors often operate in silos and there are structures in place that can act as obstacles to collaboration. So, for example, there are laws and limitations around sharing data across sectors. There are also certain funding restrictions that make it challenging to blend different sources of funding to get the outcomes that you’re working toward. Additionally, we heard that the language of trauma and resilience really varies, not only across sectors but across different organizations. Pretty much across the board, organizations were very eager to remove the obstacles to collaboration, but there are some fundamental disagreements about what certain language and terminology means. One example that an interviewee gave is that in the medical and mental health fields, people talk about diagnoses of trauma, while in the education field, people talk about eligibility for services. It’s certainly not insurmountable, but people are speaking different dialects. I think there are also variations in people’s philosophy about how to serve children. There were some interviewees who felt that knowing a child’s adversity and trauma profile is part and parcel of knowing that child well. Then, there were some educators who felt that it would be virtually impossible to accurately discover all of the children with trauma, and even if we could, they worried about the negative stigma that would be attached to those children. Instead, they believe in focusing on building resilience and social-emotional health in all children. In any case, our team at WestEd believes that those differences in philosophy don’t necessarily have to get in the way of doing great trauma-informed work. Were there any surprising or unexpected insights you learned in your conversations with practitioners? I think there was an important distinction that I hope people doing this work will really lean into and understand, which is how trauma and the needs of children at different age ranges differs. What’s particularly true for adolescents is that they are coming into a phase of life when they’re developing their own identity separate and distinct from their parents and guardians — so trauma-informed practices for adolescents also involve giving them agency and control and nurturing their ability to act independently and develop healthy social relationships. Further, one of the things that we know is essential to attending to trauma in children is, as we talked about, providing a reliable and caring adult presence. Those adults are able to buffer the adversity around children. 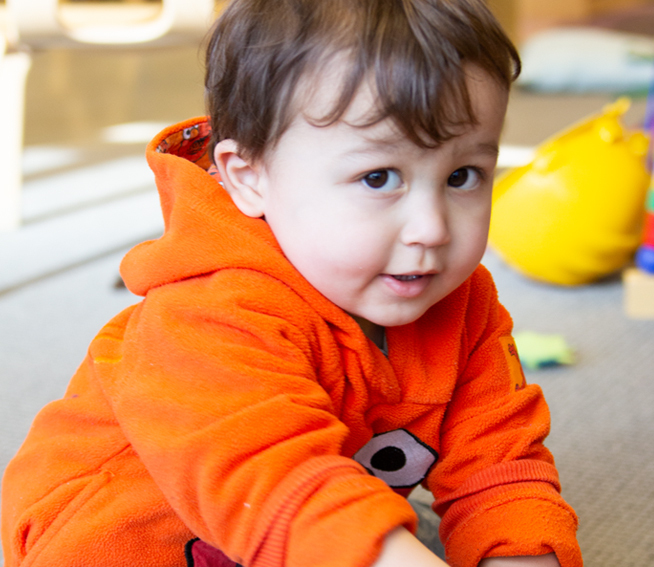 When serving babies and younger children, families and child-serving professionals can work together to strengthen the protective factors around children. With adolescents, what we’ve discovered is that a lot of them are navigating their adversity by themselves. As just one example, there are homeless adolescents who are not with their parents or with a reliable adult to help care for them. So the role of their teachers and the other adults around them becomes all the more essential. What are a couple of key takeaways that you want readers to come away from this report knowing? The first thing that comes to mind is how incredibly important it is to make sure this work is sustainable in the face of often time-bound budgets and high turnover in our schools. There are so many obstacles to sustainability, but there are also some useful strategies for making sure that even if leadership or funding models change, practices and beliefs about serving children who have experienced trauma are embedded and propagated in the work. And another important takeaway is how much more powerful trauma-informed practices can be when they’re done in a cross-sector, cross-discipline way. We are hearing about more and more place-based approaches that are inviting organizations across social sectors — including education, health, justice, and child welfare — to work together to serve children and families with trauma. And we are excited to support and learn from their experiences!